In March 2011, we commented that investors were paying irrationally high valuations for PIPE and pre-IPO investments where the opportunity to add value was negligible. Companies listing on the ChiNext achieved valuations of one-hundred times their aggressive earnings forecasts. Venture firms were using Facebook as a comparable for Chinese startups. Sany Heavy Industries, a benchmark A-Share listed company, traded at twenty-eight times earnings. Businesses raised capital on the premise of eighteen months to an initial public offering. 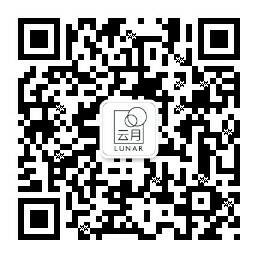 Eighty-nine companies listed in the first quarter of 2011, raising USD16 billion. Growth exceeded 10%. Just over one year on, better-run ChiNext companies trade at twenty-five times far more realistic earnings forecasts – not cheap, but not irrational if modest growth is achieved. Sany now trades at nine times earnings. Pre-IPO investments remain “pre-IPO” – only 49 companies listed in the first quarter of this year, raising under USD6 billion. A liquidity-fueled bubble has burst and put pressure on asset prices. Chinese Fortune-500 companies in non-financial sectors barely achieved 3% profit margins. PPI has dropped 3.5% to a 34 month low. Industrial production growth has slowed to 8.9%. Shipments of cognac to China have fallen 16% year-over-year. Policymakers are struggling to convince skeptics they can achieve 7.5% nominal growth. We have previously described the Chinese economy as a bicycle. Fixed asset investment and consumer demand served as the front and back wheels. Exports were the training wheels that helped maintain balance, primarily through absorbing excess labor. This worked with great effect through 2006. However, cumulative net exports over the past four years have been a drag on growth. The training wheels have come off, and the pressure to maintain steady investment while growing consumer demand has become increasingly necessary. We believe that Chinese consumer trends remain robust. Retail sales of consumer goods, per capita disposable income for urban households, and per capita consumption expenditures grew at growth rates of 19%, 13%, and 12%, respectively, from 2006-2011. Millions of urban poor have become value-conscious consumers. Households with income between USD6,000 and USD16,000 grew from 93 to 185 million between 2000 to 2010. Moreover, the growth of a true middle class is accelerating. Households with annual income between USD16,000 and USD34,000 grew from 2 million in 2000 to 14 million in 2010, with McKinsey projecting 167 million by 2020. Fixed asset expenditure has been impacted by concerns about rising levels of non-performing loans at large state-run banks, as well as political resolve ahead of the upcoming leadership transition. However, ample resources exist to ensure continued steady growth. Premier Wen Jiabao noted recently that “[China has] the capacity to overcome difficulties,” adding that China “will [make] full use of having relatively big space for policy [moves].” For the avoidance of doubt, Wen added that the government “will not hesitate to use” such tools. We see two paths forward for the Chinese economy. The first scenario assumes that Beijing’s Bicycle continues cautiously down a bumpy path, steadying as mainstream consumers come online and consumer demand accelerates, particularly from Western China. Fixed asset investment grows at a reasonable rate as Premier Wen’s economic weapons are deployed. Banks are recapitalized to offset rising non-performing loan ratios. Spending is directed at needed projects, and mechanisms are introduced to limit the extent of capital misallocation. Wage inflation continues, helping to reallocate wealth to emerging regions and broadening the overall consumer base. The alternative scenario can be simply described as “the wheels come off.” Fixed asset investment slows dramatically, exposing a colossal misallocation of capital. Bank NPLs surge and policy makers neither recapitalize effectively nor put in place controls to deter further unwise lending. With limited capital for further stimulus, policymakers are hamstrung. Urbanization grinds to a halt. Consumer demand slows, and aspirational Chinese are forced to stay on, or move back to, the farms. We assign a greater probability to the first scenario. Consider, for example, recent estimates by Goldman’s Jim O’Neill, who notes that achieving growth of 7% in USD nominal GDP terms through 2020, versus the 18.6% achieved annually from 2001-2011, will result in a USD13.5 trillion Chinese economy with a consumer sector worth at least USD2.1 trillion. Consider also Premier Wen’s estimate that the government has a one trillion RMB surplus on its balance sheet, and one hundred billion RMB on hand for what he called “stability and adjustment funds.” The ECB’s Mario Draghi likes to tell the markets that he has a bazooka. Premier Wen has signaled far greater firepower. As an airplane stalls and drops toward the ground, instinct says pull up, but physics demands diving faster to gain speed and control. Investors in China are behaving like novice pilots, pulling up and out of the market when the environment demands diving deep. One explanation may be investor’s relative experience. Institutional equity shareholding is about 16% in China, versus nearly 70% in mature markets. Amongst retail investors, 85% of China’s 56 million brokerage accounts have under USD16,000 in assets, and turn over their accounts seven times annually. Additionally, only 3.3 million new accounts were opened in the first half of 2012, versus 6.6 million in 2011 and 18.8 million in 2007. We believe that many Chinese businesses are likely to meet or exceed the growth rates implied at current prices, thereby warranting a deep dive. Attractive opportunities are more likely to exist today than at any time since the bursting of China’s brief 1999-2000 dot-com bubble, during which only a handful of demonstrable leaders, such as Sina, Sohu, and Netease, were funded and publicly listed. For a long while after that bubble burst, you could buy shares of these companies at a fraction of their cash on hand. The brand value of these businesses was clear and their balance sheets were debt free. Although it would have been impossible to predict that Sina would achieve a fifty-fold return over the next ten years, the investment logic behind acquiring these businesses with an attractive margin of safety was compelling. Similar opportunities have appeared again recently, but have yet to attract substantial interest. For investors willing to do take the plunge, there is a plethora of choice. Private equity can target 43 million private enterprises, many of which will suffer, for a time, from low profit margins, lack of capital and a scarcity of management talent, all of which can be addressed through the application of intensive operational focus – clearly our preferred strategy. We favor middle market providers of consumer products and services that deliver safe products at a price that emerging Chinese consumers can afford. For public market investors, we estimate that there are 1,069 listed companies in the consumer sector today, versus 465 in 2005, and that the market capitalization of Chinese consumer businesses has risen ten-fold over the past decade. Additionally, established domestic leaders have emerged with longer track records and lower earnings volatility, alongside expanding and emerging younger businesses with higher growth prospects but less stability. Howard Marks of Oaktree recently said that, “The world is as uncertain as at any time in my life… [but] at the same time, market conditions tell me this isn’t a time for hiding under the bed.” In today’s market, we equate hiding under the bed with pulling up in the face of adversity, and prefer instead to dive deep. Beijing’s bicycle is likely to roll onwards. Disciplined investors with an institutionalized, process-driven approach will find good businesses at prices that reflect modest growth targets and have a reasonable probability of exceeding expectations. After maintaining balance, and with a little luck, Beijing’s bicycle may even begin to regain speed.